Why are Medicare Premiums Different in Different Counties of North Carolina? Premiums in North Carolina for Medicare, they can differ from county to county. And if you were to think in terms of something as simple as this scenario, why does a tire store sell a certain brand on this side of the state for this price and another side of the state another price? A simplistic way to put it is, what does it cost to bring that product to market in your geographic location? And when it comes to health risk, they can vary from area to area. Probably one of the larger reasons, provider cost. A heart surgeon may make a little more money in that area than another area, bringing that equipment or running that hospital facility can cost more. So, to keep it simple in this context, it can vary, the cost, to bring the product to market more in one area than another area. 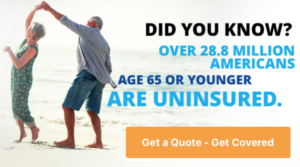 If you are in Raleigh, Charlotte, Wilmington or any part of North Carolina, you can contact The Mair Agency to get a better understanding of Medicare in your county.